Nikola Vucevic, Evan Fournier, Aaron Gordon and Jonathan Isaac all score 20+ points as the Magic win their fourth straight. Julius Randle scores 22 points and grabs 12 rebounds to help New Orleans drop Cleveland. E'Twaun Moore finishes with a sneaky move under the basket. Julius Randle posted 33 points and 11 rebounds to lead the Pelicans over the Timberwolves, 123 - 114. Selected by Boston in the second round (55th overall) of the 2011 NBA Draft…Traded by Boston to Houston as part of a three-team deal which also sent JaJuan Johnson, Sean Williams and Jon Diebler to the Rockets, Courtney Lee to Boston and Sasha Pavlovic to Portland 07/20/12…Waived by Houston 07/25/12…Signed as a free agent by Orlando 09/06/12…Signed as a free agent by Chicago 09/18/14…Signed as a free agent by New Orleans 07/21/16. In 59 games (22 starts), averaged 7.5 points, 1.7 assists, 2.3 rebounds and 0.6 steals in 21.4 minutes per game while shooting 48.1% from the floor, 45.2% from 3-point range and 62.9% from the foul line…Scored in double-figures in 14 contests, including three 20+ point games…Swiped career-high 4 steals on 3/31 at HOU…Tied season-high 7 assists on 3/7 vs. MIL (also 2/6 at MIN)…On 2/21 vs. LAL, tied career highs for points (24) and minutes (41), while setting a career high in FGM (10); went 4-of-4 from distance in the game…Grabbed season-high 7 rebounds on 2/19 vs. TOR…Scored a career-high 24 points on 2/3 at SAC, 13 of which came in the first quarter…Scored 14 points on 1/14 at PHI, seven of which came in overtime…Blocked a season-best 2 shots on 2/1 at UTA, his first multi-block game since 12/30/14; tied season high in blocks on 4/2 vs. DET…Started a career-high 22 games. Played in 38 games during his rookie campaign for Boston, and posted 2.9 ppg in 8.7 mpg…Scored 16 points (4-4 3FG) at ORL (01/26)…Recorded a career-high three steals versus MIL (04/26)…Made his NBA debut at NYK (12/25)…Scored his first NBA points versus NJN (01/05), as he finished with five points (2-3 FG)…Posted 22 DNP-CD’s and spent six games on the Inactive List. Played in 34 games (31 starts) and averaged 12.9 ppg, 3.9 rpg and 2.6 apg in 30.6 mpg…Shot .434 (66-152 3FG ) from three-point range…Became the first true freshman in Purdue history to lead the team in scoring and was named to the Big Ten All-Freshman Team. 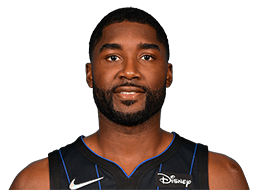 Full name is E’Twaun Donte Moore…Has a daughter, Elissa (born December 2012)…Majored in Organizational Leadership and Supervision while at Purdue…Participated in the Baskets for Books program, reading to children…Spoke to children at the Boys & Girls Club at the Jackson Community Center about staying motivated.